Using the democratic process, the University of Texas at Arlington’s MSN students voted to select one current legislative bill that they wished to advocate for and support. This assignment was designed for them to create an effectual class legacy. 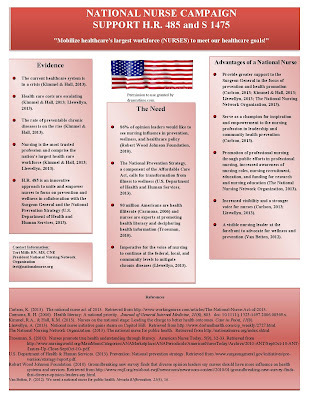 Thirty-one students from across the country participated and collaborated efficiently to find meaningful ways they could support The National Nurse Act of 2013 (S. 1475 and H.R. 485). The graduate students adopted measurable goals to positively impact these bills. The “divide and conquer” approach was applied as they worked in groups to meet them. They feverishly added members to the FACEBOOK Group, The National Nurse Campaign that now has over 3,400 members. Several students have or are planning to meet in the district offices of their U.S. Representatives and Senators. Some have emailed or called their U.S. Legislators requesting endorsement on Capitol Hill. One group incorporated research that has been collected and composed a brief. That brief was distributed to many nursing organizations and stakeholders by several of the students. Additionally, this brief has been posted on hospital units' bulletin boards to educate others about the bill. 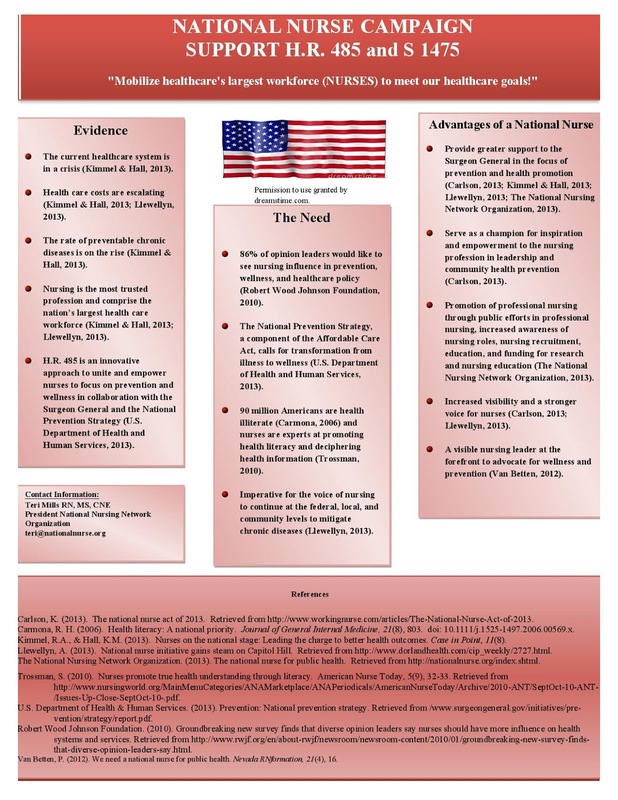 Presentations are planned by some for upcoming local chapter meetings of national organizations to increase support of The National Nurse Act of 2013. The National Nursing Network Organization is grateful for this level of support. We would like to hear from you if your class is studying this proposal. Please email the NNNO Board for information and ways we can help. 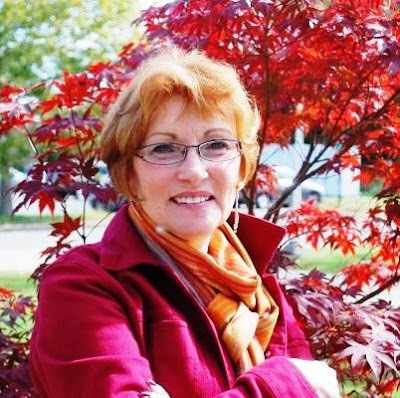 Thank you to registered nurse and Massachusetts State Representative Christine Canavan, elected to serve the 10th Plymouth District, for introducing the following resolution into the Massachusetts General Court. We are pleased to report that this resolution in support of H.R. 485, The National Nurse Act of 2013 passed unanimously. 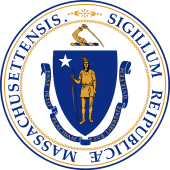 RESOLVED, That copies of this Resolution, suitably engrossed, be transmitted to each member of the Congress of the United States from the State of Massachusetts.